Don't Miss Montana Shakespeare In The Parks In Big Sky! 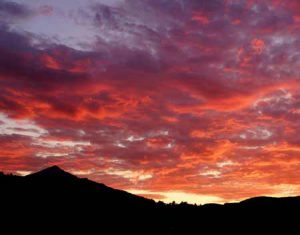 On Friday, September 2, 2016 at 5:30 PM, Montana Shakespeare In The Parks will perform a free, live theatrical production of William Shakespeare's The Comedy of Errors in Big Sky Town Center Park. It's a FREE show presented by the Arts Council of Big Sky. Don't miss it! The Comedy of Errors is one of Shakespeare's early plays. This live show is directed by Christopher Duval of Montana Shakespeare In The Parks. 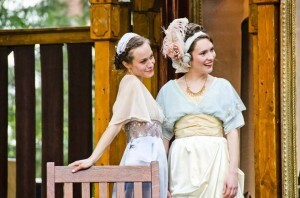 According to ShakespeareInTheParks.org, this play, "is set in 1950's New York - an urban cityscape ideal for getting lost. Confusion and mistaken identity drive the plot forward, taking the audience on an uproarious, merry-go-round of an adventure!" Watch this play live in Big Sky and laugh along as this tale of mistaken identity results in comedic mishaps that will make you chuckle. Montana Shakespeare In The Parks is a Shakespeare touring ensemble that travels to rural communities around Montana, Wyoming, Idaho, and North Dakota. Since 1973, they have performed over 2,250 shows to roughly 3/4 of a million people. Now in their 44th season, their summer touring schedule includes 75 performances in 60 communities. On September 2, 2016, we're incredibly lucky to welcome Montana Shakespeare In the Parks to Big Sky, Montana. Woohoo! Definitely put this event on your calendar. 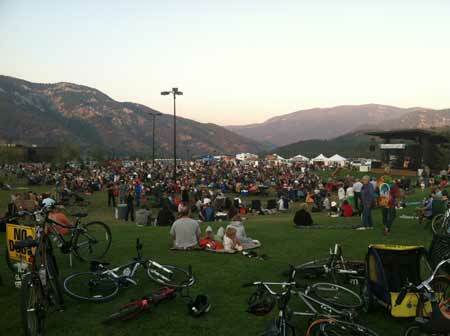 Montana Shakespeare In The Park takes place OUTSIDE at the Big Sky Town Center Park at 5:30 PM on 9/2. This is the same place where Music In The Mountains happens every Thursday night all summer long. Everyone is invited to come and enjoy The Comedy Of Errors in Big Sky. This live theater production is appropriate for all ages. Pack a picnic, bring your jacket, and don't forget your comfy chairs. Feel free to bring a bottle of wine if you want to! If you forget anything, stop by the Hungry Moose - it's right across the street from the show. Come and enjoy a live, outdoor production of The Comedy Of Errors right here in Big Sky. It's a magical setting to see Shakespeare live! And you really have no excuses for missing one of the top Shakespeare touring ensembles in the country. If you enjoy this free show, be sure to support both the Arts Council of Big Sky and Montana Shakespeare In The Parks. These free events are only possible with your support! See you at Town Center Park at 5:30 PM on September 2, 2016!